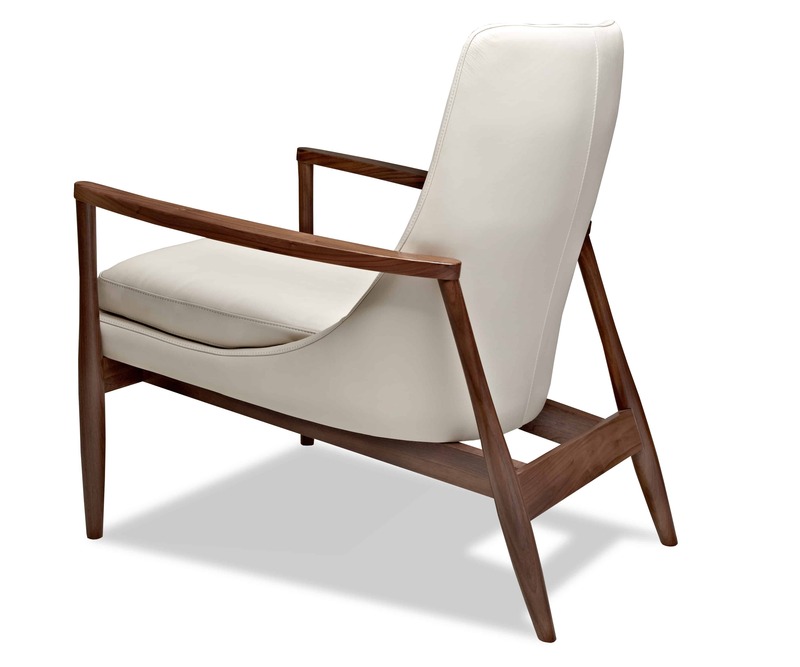 Solid wood frame: Ash or Walnut Tight back and loose seat cushions Single-needle top-stitched seams. Cushions: Premium high-density, high-resiliency foam back and seat Lifetime warranty on frame and suspension; 5 years against defects in materials and workmanship for all other elements. Distinctive wood base available in domestically sourced solid American Walnut with a natural finish or solid Ash with a gray finish. 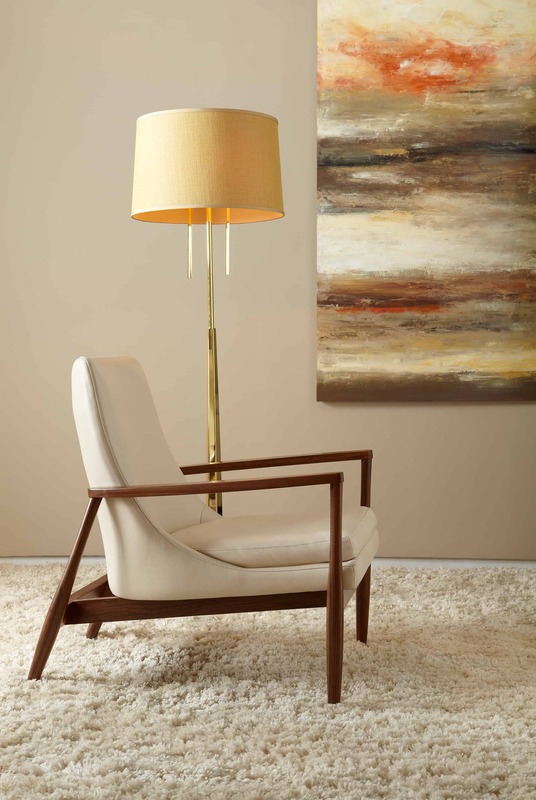 American Leather has partner with American Forests and plant trees for every piece ordered. 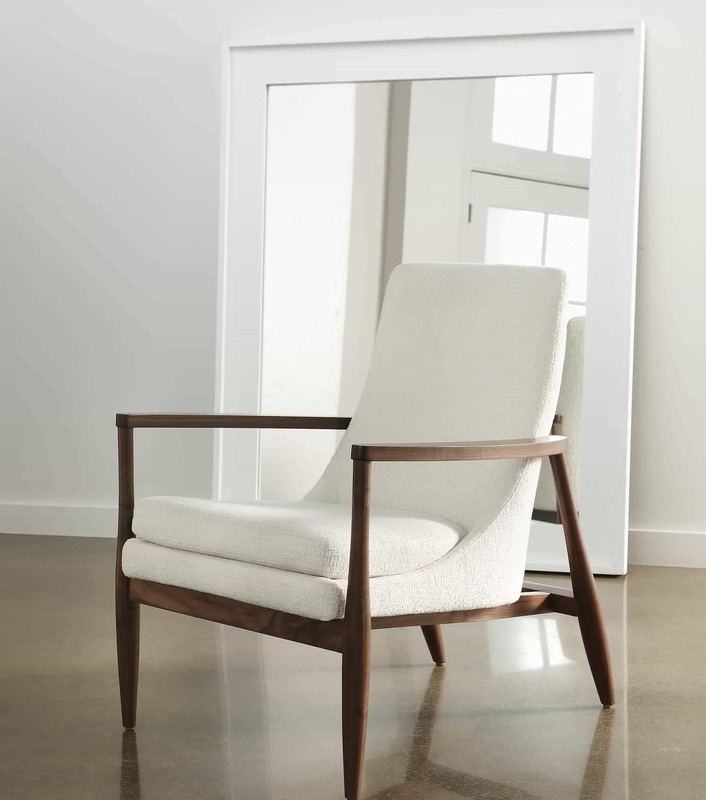 This Chair style is also available as a Re-Invented Recliner-Aston.